To some, coffee is just a carrier of caffeine that fuels a dulled mind and a tired body. To Coffee-philes, it is much more than that, it is one of the great joys of life. “Filosofi Kopi” is a film brewed for the latter group, though in reality, the message can be generalized to others as most people have some interest, hobby, or passion that generates joy and meaning in their life. For some it is coffee, for others it is wine, for others still it is cinema. The fact that for one person coffee is a commodity and for another it is a spiritual experience, or that films to some are movies and to others they are cinematic experiences simply indicates the diversity of interests and passions in the world. 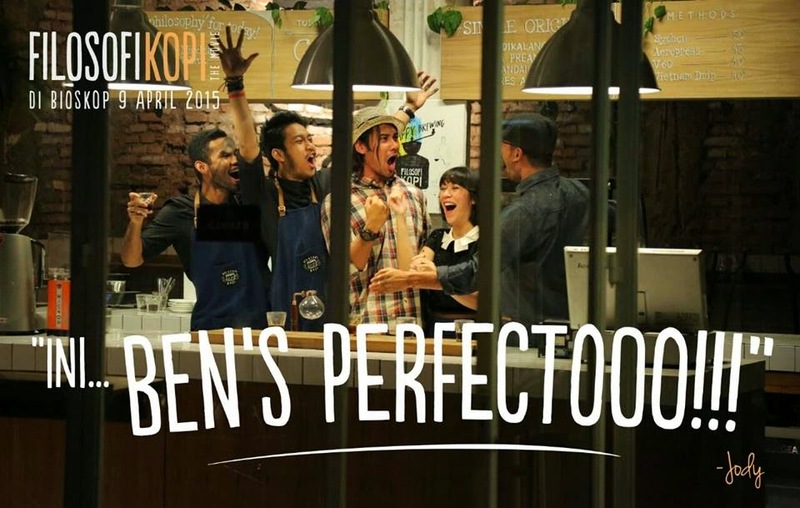 Set in Indonesia, one of the largest coffee producers in the world, “Filosofi Kopi” is the story of Jody (Rio Dewanto) and Ben (Chicco Jerikho) two good friends in their 20’s whose lives have been complicated by past events and the actions of others, and who seek to rise above their present circumstances by opening and running a coffee shop. While one wants to erase debt built up by his father, debt he soon learns was created to fund his education, the other wants to produce the finest coffee as a way to get past the traumatic disintegration of his coffee growing family. The film opens with the revelation that the shop, Filosofi Kopi, is failing and, unless something changes soon, will close. There is a hint that some of the debt is owed to people who would do more than take ownership of the building. It is also evident early that the two partners have different agendas, business student Jody seeks to make the Filosofi Kopi profitable by expanding services such as offering WIFI and opening during the lunch hour, as well as cutting expenses by purchasing cheaper, lower grade coffee beans. Coffee master Ben believes that it is coffee and only coffee that should, and will, make the shop successful, and therefore the shop should buy only the best beans. Ben also considers ancillary things such as WIFI a distraction from the “superior coffee experience” that he believes Filosofi Kopi, and he, provide. As the two partners seem at a stalemate, in walks a businessman offering them a challenge as well as a life line. If they can brew the finest cup of coffee in Jakarta, as chosen by his wealthy client, they will earn enough money so as to buy down their debt and save their shop. So confident is Ben that he ups the issue, and money, by promising to pay the much larger amount should he fail, much to Jody’s desperate consternation. After spending more money on very expensive coffee beans and two weeks finding the right blend, Ben and Jodi believe they have blended the perfect cup, and begin selling it with the name, “Ben’s Perfectooo!” All is well until an international coffee grader, El (Julie Estelle) comes into the shop and has a less than overly impressed reaction. El tells them where she has tasted the best coffee, a plantation some miles from Jakarta, and offers to take Jody and Ben to meet the grower and brewer. Hesitant to go initially, Ben becomes closed and distant as they travel and especially so when they taste the superior coffee. It is during Ben’s return to a coffee plantation and encounter with a grower like his father where, through flashbacks, the backstory of Ben is revealed. As often has happened throughout Indonesia, Ben’s family suffers a tragedy as father is forced to give up growing coffee as the land is needed for producing Palm Tree oil, which is a far more profitable crop that has led to deforestation and the takeover of land used to grow coffee and other crops. Following the incident, Ben’s father transforms from the gentle coffee-plant whisperer into a volatile man whose reaction to Ben’s trying to continue his mastery of brewing coffee is shocking to the young boy. It becomes evident that Ben traveled to Jakarta to escape his father. Eventually Ben decides to leave Jakarta and return to his home and to his father in an attempt to achieve some sense of closure to this life defining event. Throughout the film the audience learns that to brew a cup of high quality coffee, care must be exorcised throughout the entire process. Care for the plant through proper and timely pruning of nonproductive branches so that the most nutrients can reach the bean. 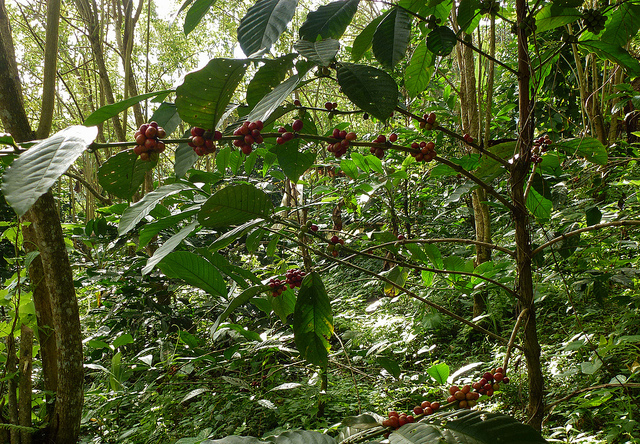 Care must also be given in the picking of the bean so that they are at their proper and full, taste producing ripeness. Complete Sun drying is essential to prepare the beans for roasting. The roasting process must be timed so as to retain and craft the proper flavor. Coffee must be ground enough to release the taste but not so as to lose it during the brewing. And lastly the brewing must be at the correct temperature for the right amount of time so as to release, yet not lose, the full taste. 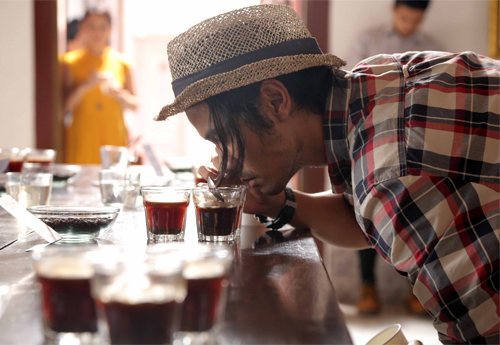 All of these steps are important if one is to experience the perfect cup. If there is a break, or shortcut at any step the brew will be damaged and the taste impacted. Ben’s life was producing a less than quality brew because he was damaged. His childhood trauma had injured the plant that was his life, and even through his life was producing fruit, it was less than it could or should be. Rather than going back, facing his trauma, and repairing that which had been lost by confronting his father and fears, Ben had tried to compensate by doubling down in other areas of his life. The reality that Ben knew about coffee but failed to realize in his living was unless he pruned the trauma from his life by addressing it, his cup that was his life would never be of the quality he desired or his father desired for him. Whenever one has injury in life, damage to one’s spirit from the actions of others, poor personal decisions, or just random life events, one cannot wait the situation out. Though bodies may heal and to some degree spirits may return to functioning, if one does not address the pain, loss, or fear, one’s life will not be embody the fullness it could. As with non-productive growth on a coffee plant, fruitless growth that start through failure, trauma, disappointment, or other critical life events rob one of the spirit needed for a fuller and more meaningful life. As with the coffee grower, care of the plant that is one’s life is tedious work that cannot be rushed or mechanized. It can be painful, and in the short term draining, but it is the only way to ensure the health of plant that is one’s being and the only hope for producing fruit that yields fulfilment in and with life. While one can skip this process and still have fruit that is a life, and even some happiness, it will not be truly satisfying to the palate that is one’s hope in life. As with Jacob in the Old Testament, we all have baggage that we try to leave behind. But like Jacob, our disappointments, loss, behavior, and fears, follow us through life. No matter how successful, wealthy or powerful one becomes, it is not until one faces one’s past, wrestles and struggles with one’s loss and fears that one can overcome and reclaim the life one was intended and desired by God to live. As with Jacob, we may come from this encounter changed, or even wounded, but we will, even in our change and wounds, be truly whole and empowered to live a more fulfilled life. 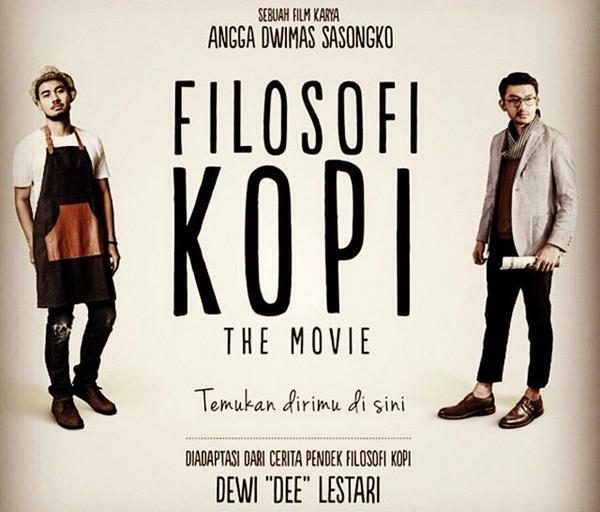 “Filosofi Kopi” was directed by Angga Dwimas Sasongko, has some adult language and depiction of violence. It is currently seeking distribution in the United States and other countries. This entry was posted in Film Shots, Scattershooting and tagged coffee, faith, faith and film, famiy systems, filosofi kopi, healing, healing and wholeness, Jacob, new life, Peace, spirituality. Bookmark the permalink.